Every culture prides in its elements of music and dance. 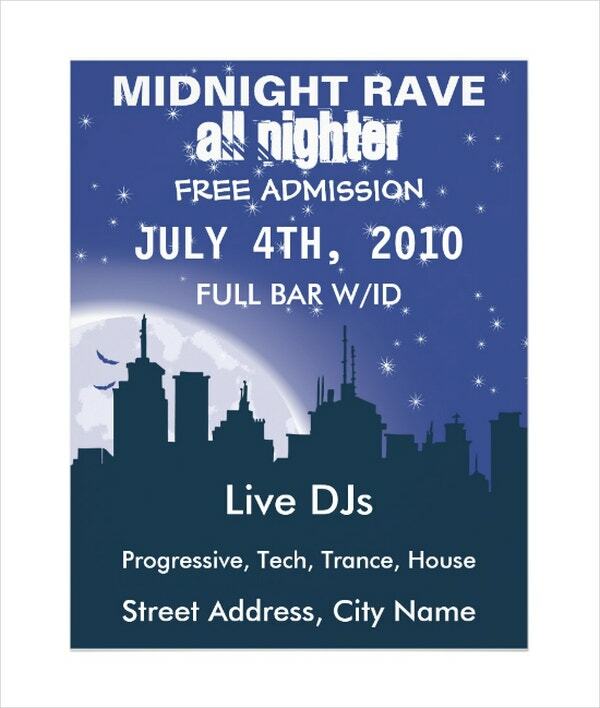 Similarly, rave parties define the youth and modern culture. 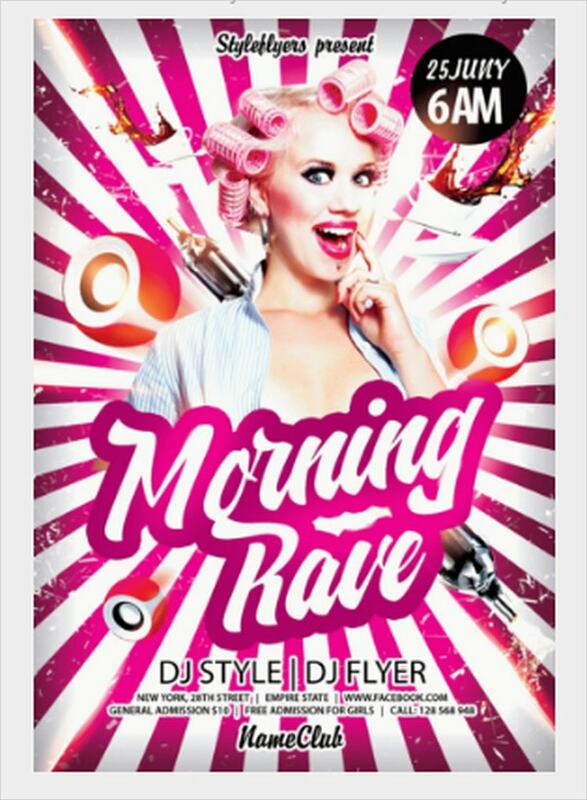 You must appreciate utilizing Party Flyers when planning for a rave birthday or back to school party. 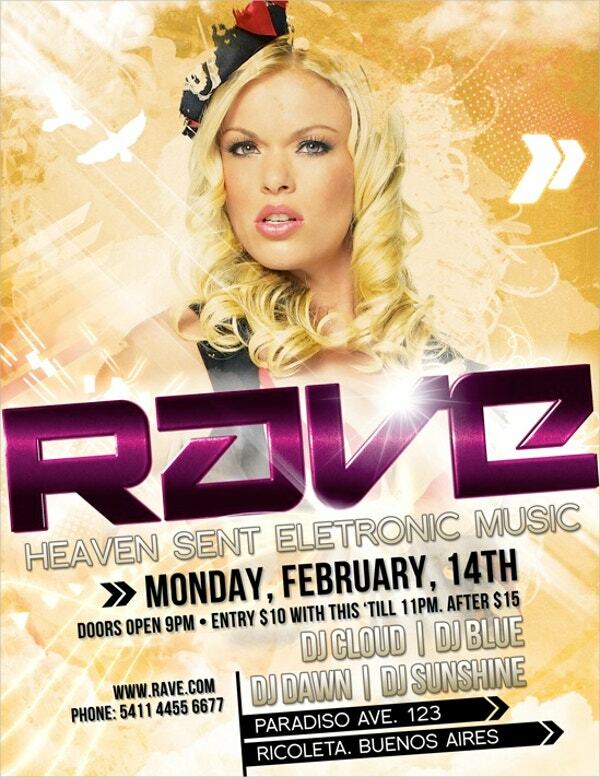 The flyer samples are very affordable and they vary in size, color, fonts and design. 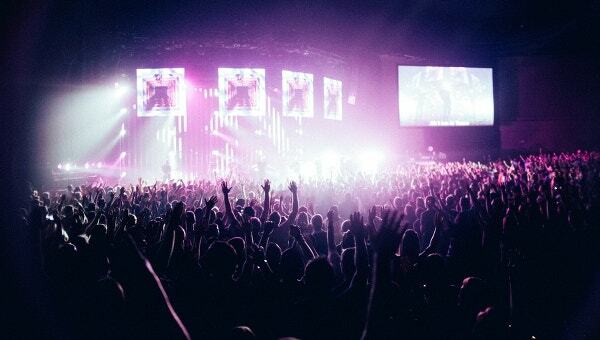 They allow you to market your event efficiently and appropriately. You can also customize or personalize them to suit your taste and needs at a minimal cost. 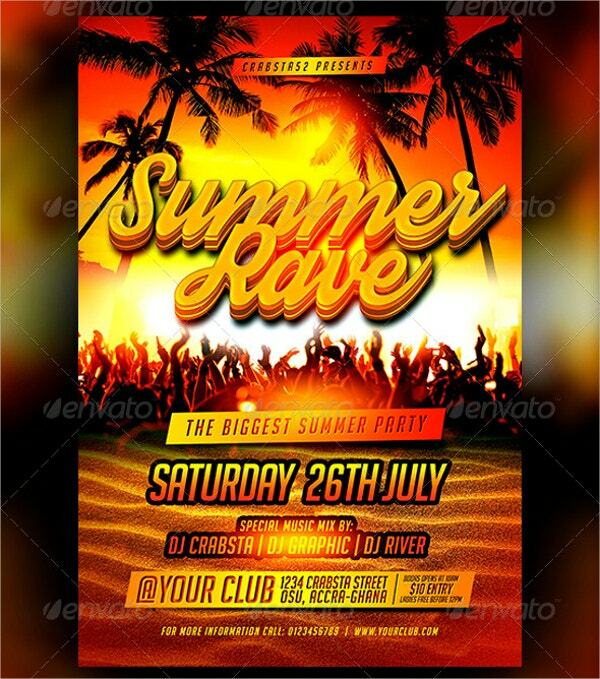 The modern 4 X 6 inches summer rave flyer template suits event and club parties. It contains 0.25 bleeds, CMYK color mode and 300 dpi in ready to print PSD files. 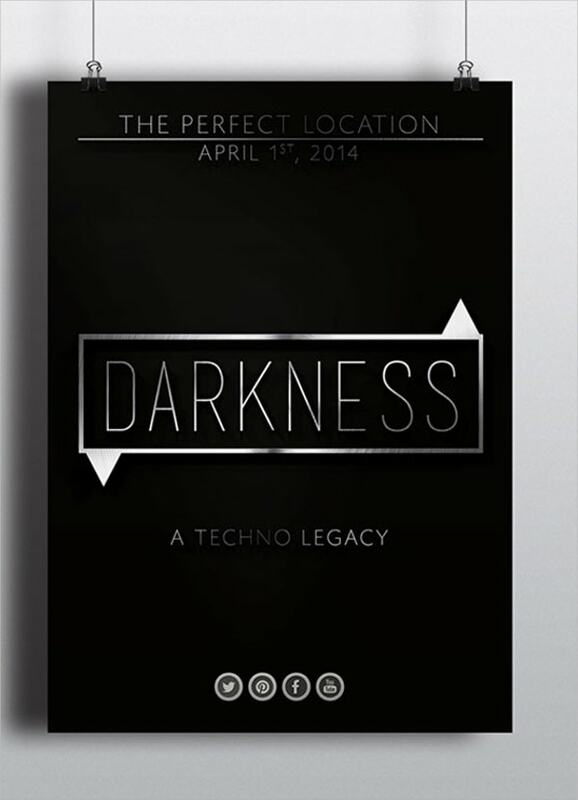 The darkness trance rave flyer template is a layered and high-resolution document that requires Adobe CS3+ to create, edit and customize. This PSD and all files vector measure 8.6 X 12 inches. 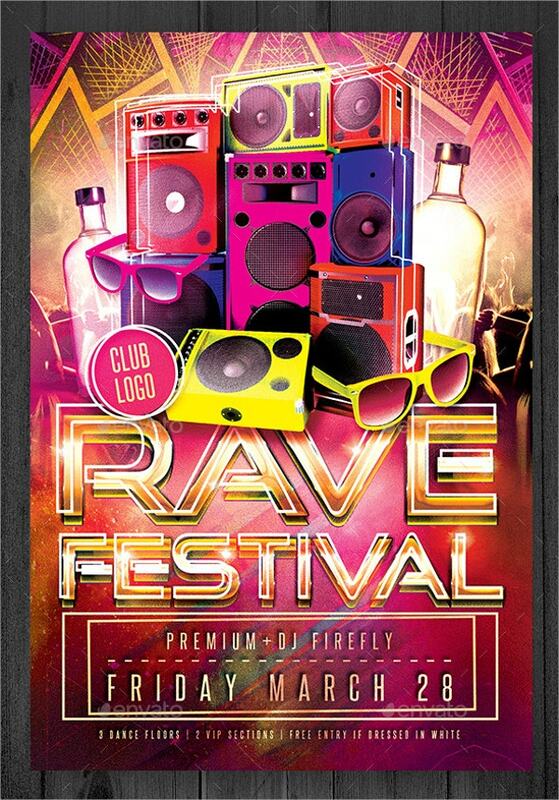 Rave Festival Flyer template features a cover and flyer design that suits parties. The vector document is available in high resolution and in different sizes. It contains editable texts, colors and images. The 6 X 6 inches template with 0.25 bleeds and 300 dpi resolution, serves all events with a school theme. The layered, easily customizable and print ready file features guidelines and a square layout. 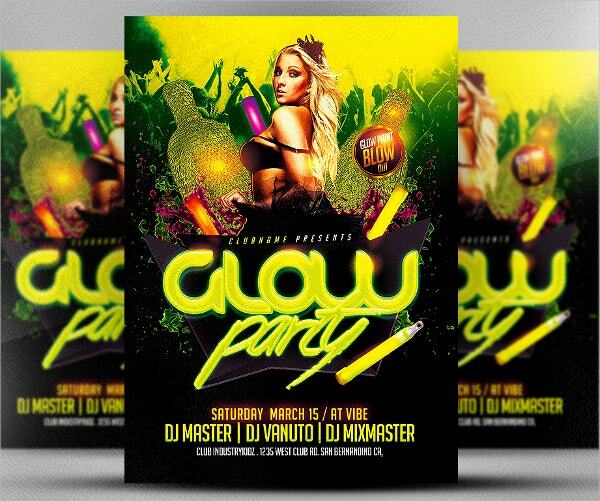 Neon rave party flyer template comes in JPG, ALL and PSD files requiring adobe CS4+. 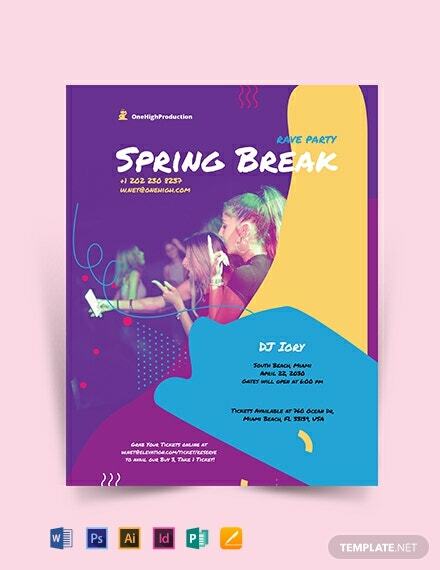 This 4X6 inches layered document with 300 dpi and 3-D background of liquid splash aids in promoting glow-stick themed events. 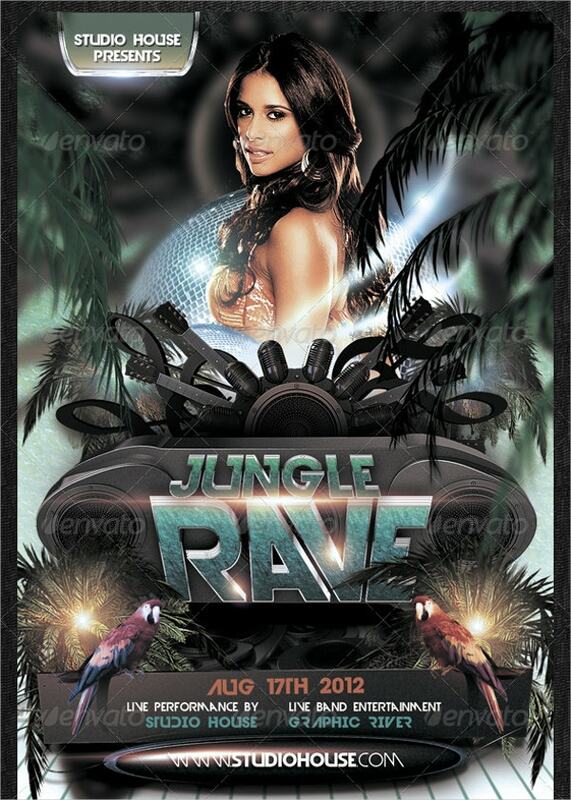 You can download this vector rave party Music Flyer Template and customize or edit it using the Shutterstock editor. Although it is print ready, it features editable texts,, images, and colors in high resolution. The fully layered PSD file features 3D art and layers. 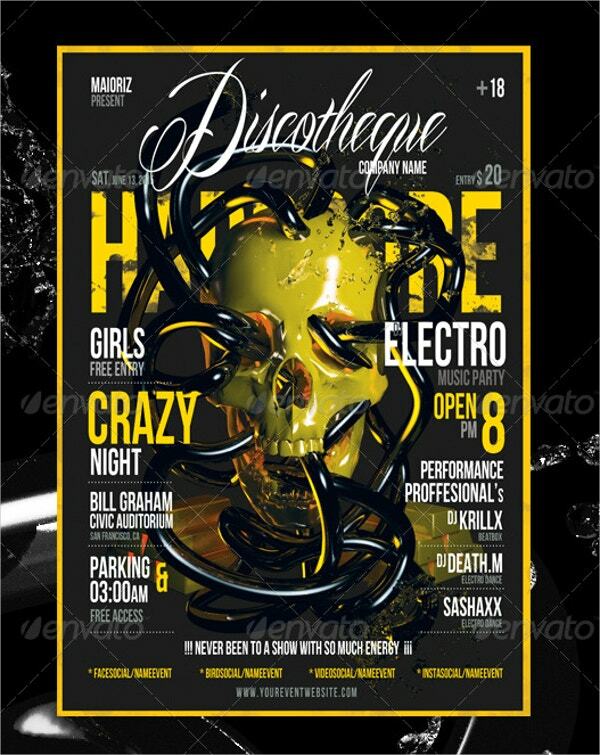 Electro rave party flyers brags about 300 dpi resolutions, 3mm bleeds and Bebas and Mardian fonts. It can be customized through Adobe CS versions. 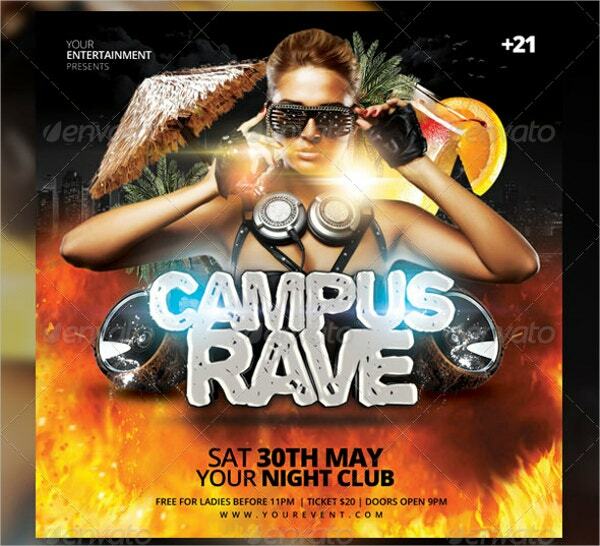 The UV rave party flyer template perfectly markets upcoming events. It contains CMYK color mode, 300 dpi resolutions, bleeds and layers in its print ready yet editable format using Adobe CS1+. 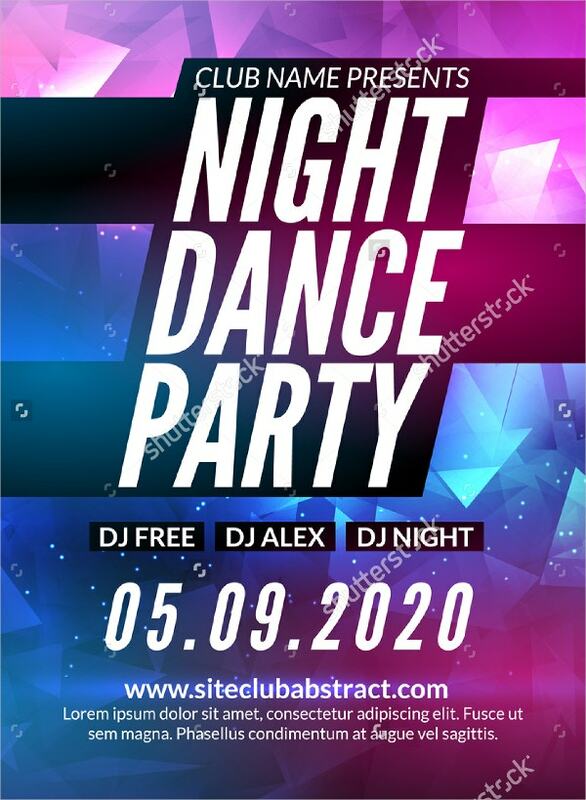 Night rave dance party template takes polygonal style. It contains high resolution, beautifully layered and organized texts, colors, and fonts that are editable with Shutterstock editor. It suits musical events. 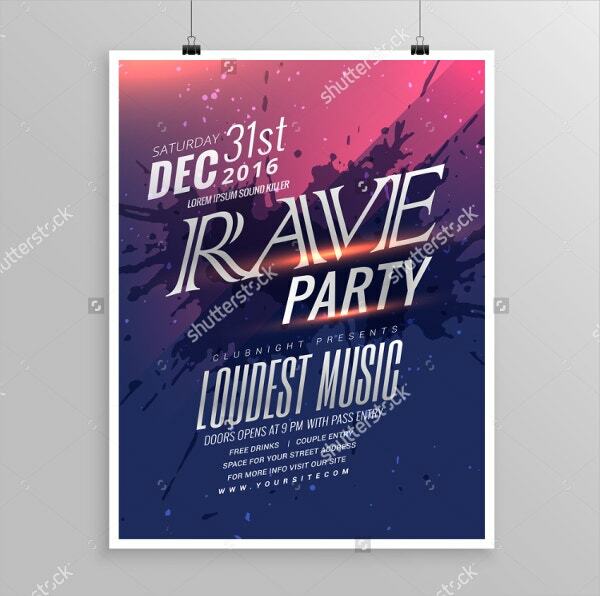 The wild rave party template for music-related events features 300 dpi resolutions, layers .25 bleeds and fully customizable format for download. It is print-ready on 4 X 6 inches paper. 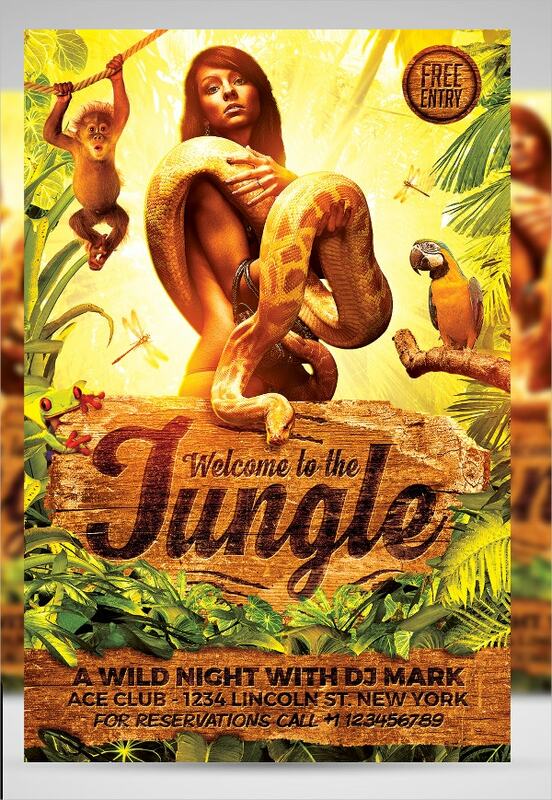 Jungle rave party flyer prides in editable texts, 300 dpi resolution, CMYK color mode that is print ready and layered PSD files. This 4 X 6 template is available in standard and extended licensing. 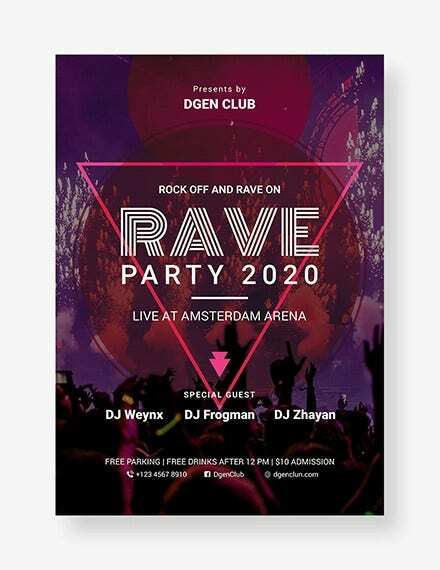 The modern rave festival flyer in print ready format features 300 dpi resolution, CMYK color mode, free fonts and editable texts. You can easily customize this PSD file containing layers and organized folders for single users. 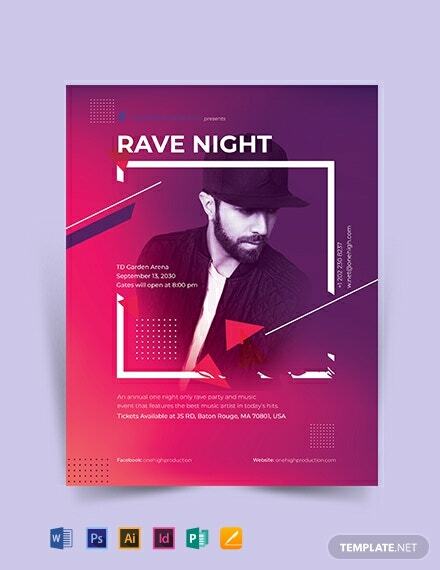 You can download this Rave PSD Flyer Template in a provided link before editing its texts, changing its colors and replacing its images. This template for Graphic River suits music-related parties. 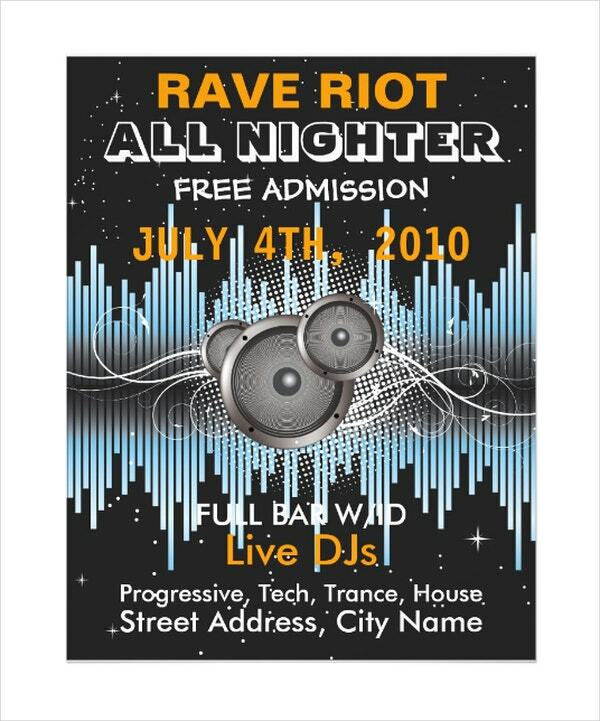 Rave riot music flyer template suits flyers, brochures, mailings and leaflets because in comes on a strong matte white paper. The layered and professionally colored file measuring 8.5 X 11 inches features editable texts. 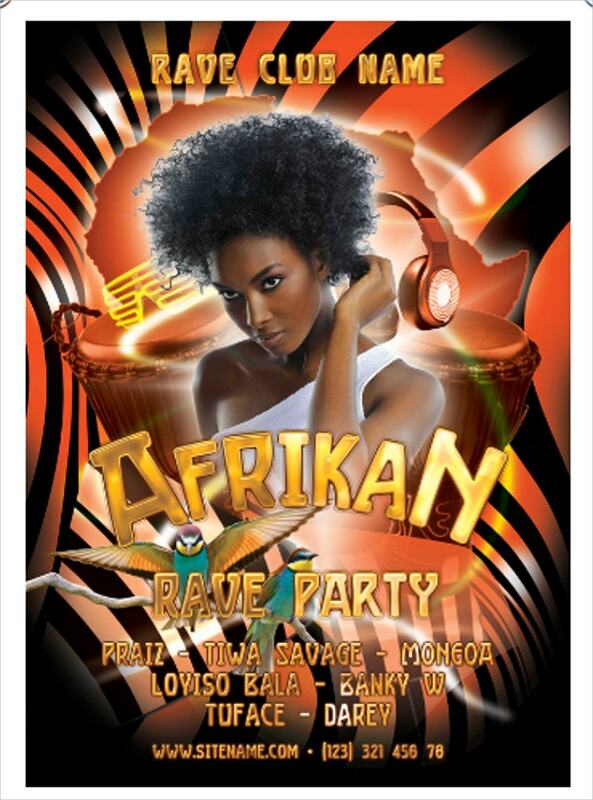 The high quality and print ready afro rave party flyer template prides in bleeds, safe, lines and guidelines. It offers 300 dpi resolutio with CMYK color mode, PSD template and layered files. 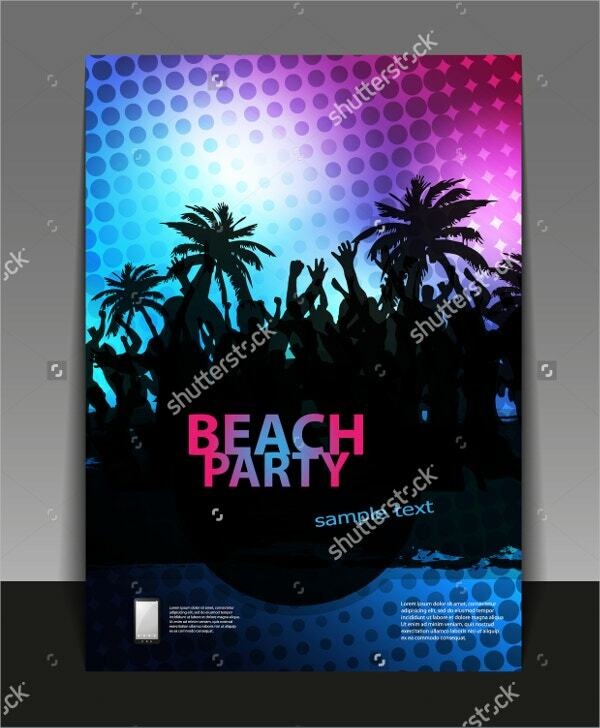 Finally, beach flyers should simplify the process of planning for events. Most of them are print ready and simply require slight editing and customization. You will not regret using these documents because you can use them as designs for brochures, websites, mailing, flyers and leaflets. You can also adjust them to suit any event.